Please note that the tide tables are available under the section PUBLICATIONS AND FORMS. The story of Collie: One of our customers talks to us about a previous boat he owned and kept here. Collie was once a two master sailing pinnacle built circa 1890 she was then converted to serve for HMS Hermes in Devonport. During the second world war she was converted to a fire boat when Hermes went down to the Indian Ocean. Sunk by the Luftwaffe in 1941 she was recommissioned to fight again! After the war she was located to HMS Defiance the navy torpedo school. Terry Young of Young Boats Ore Creek brought her into the 21st century with his skill and craftsmanship, much admired by HMS Northumberland who donated her number three battle ensign at the London Boat Show. Collie is truly one of our nations remarkable stories and her history is well documented in Classic Boat March 2007. Cuxton Marina Embraces Digital Marketing! As some of you may have noticed, we’ve released a new website, Facebook page and Instagram. This is all thanks to the skills of Amy Peacock, who has worked on our digital marketing and social media for a week and got things up and running. Thanks, Amy, for showing us marine Luddites how this all works! We hope you enjoyed a taste of the marine life too. 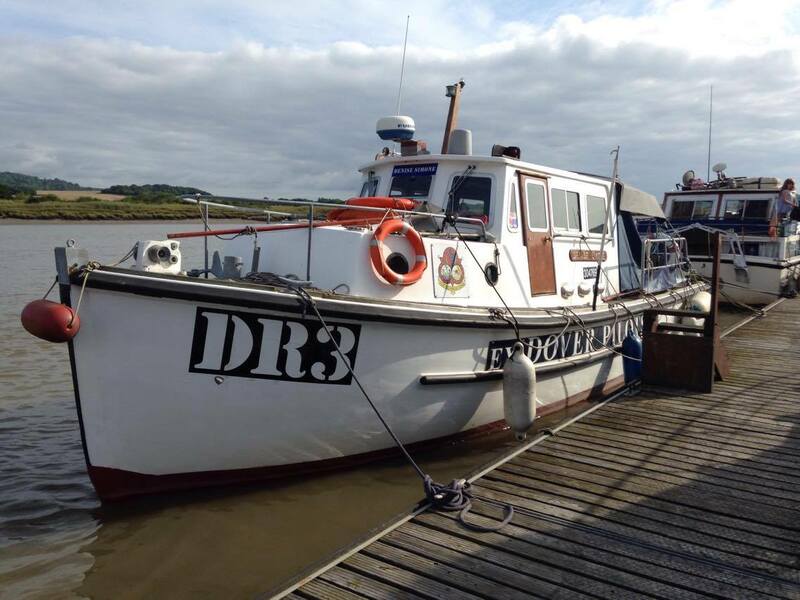 This boat, Denise Simone, was the very last working wooden pilot boat in the UK. She was built in Whitstable in 1963 for George Hammond, a prominent ship and tug owner. She’s made of pitchpine on oak and registers at over 10 tons, working off Dover Harbour in all weather. The Mayor of Dover presented her with two Port Dover signs which she proudly shows in her forward cabin. Dover Harbour Board gave permission to recognise her historical significance by bearing ‘Ex Dover Pilots’ on her hull for her service between 1965 and 1985. Denise Simone, having retired from Dover, took up the responsibility of an Auxiliary Coast Guard Vessel along the North of Kent up until 2007. She is always welcome back in Dover where she is fondly remembered. Cuxton is home to this beautiful boat named Roco, but before docking in our marina it was owned by ‘Queen of the English Channel’, Alison Streeter MBE. Streeter is famous for having swum the English Channel a record 43 times and setting the world record for fastest female Channel swim. She is also the first woman to swim the Channel three times back-to-back, taking her 34 hours and 40 minutes. Streeter then became a coach for others attempting to swim the Channel, and Roco was the boat accompanying them.